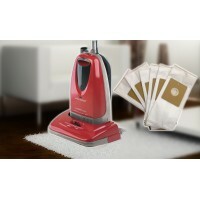 Original specification microfibre bags for your efbe-schott Ultralightweight Classic Cleaner VU 3 14.. 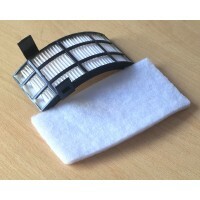 Original specification filters (located under the bag inside the vac body) for your efbe-schott Ultr..
Redblack has sourced spare parts for the efbe-schott VU3 Ultralightweight vacuum cleaner, sold principally by Scotts of Stow and House of Bath catalogues. 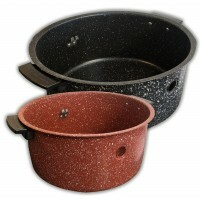 Please follow the links or product pictures accordingly. 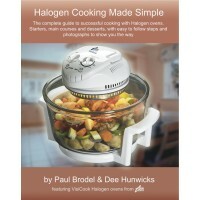 Additionally, from time to time we showcase other selected items: we have cookbooks written by Paul Brodel, TV personality and renowned restaurateur for halogen ovens and slow cookers. We now offer spare cooker heads for halogen ovens such as VisiCook, Tower, Legend, Daewoo, Russell Hobbs that boast a lift-off lid. 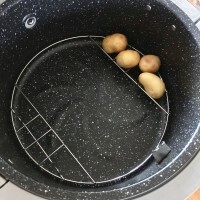 The heads are universal for these bigger halogen ovens. 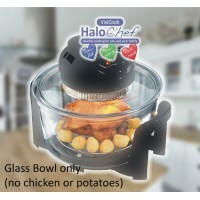 Additionally, we now have the stainless steel extender ring that will add versatility to your fab halogen oven, whether it's lift-off lid (like the VisiCook series) or hinged lid (like the Cookshop series) and factory authenticated borosilicate glass bowls for any full-size halogen oven. We're proud to re-introduce the patented Long-Life Guard - a simple clip-on device that helps you keep the halogen head heater shield clean and prolongs the life of your heater-bulb by reducing the likelihood of the heater bulb being damaged by food spatter or oil - the single most common reason for failure of halogen ovens. 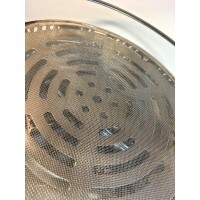 It will fit any halogen oven head whose heater shield has a radial pattern - if your heater shield looks like our picture, the Long-Life guard will work! 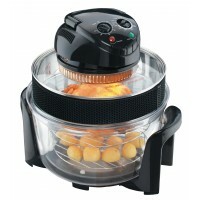 Redblack is a British company specialising in small domestic and kitchen appliances, with a pedigree stretching back over more than a quarter century. Find out more about us here. 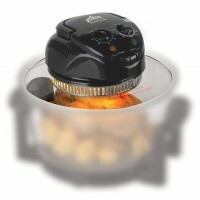 ﻿The VisiCook HaloChef Halogen Oven is unique amongst all other halogen ovens by virtue of its cool ..